Future building site for sale on Snively Road in Danville, Ohio that's perfect for your dream home. This property offers 39.848 country acres that provide picturesque horizons that will make you want to take a photo! Make sure to take a moment out of your day to catch our custom drone footage above that really captures the true essence of the property. Located in the Danville School District, this impressive property is situated within Brown Township and is impressive in value. Priced to sell at $175,000. Click here for more information on these 39.848 acres for sale on Snively Road in Danville, Ohio, 43014. To find more land for sale in Knox County, Ohio, click HERE. The Village of Danville, Ohio is home to just over 1,100 people and provides a small town atmosphere for visitors and inhabitors to enjoy day by day. Danville, Ohio is just 15 miles Northeast of Mount Vernon, Ohio and provides plenty of small businesses to shop from and delicious restaurants to dine in and make memories. Each year, events such as the Danville-Howard Turkey Festival draw in visitors from surrounding towns during its 3 day event for those to enjoy delectable fair foods, tractor pulls, laser tag, a 5k run and walk, car show, live entertainment, and so much more. Danville, Ohio has plenty of things to do and miles of trail to walk, run, and bike on while exploring nature all around. 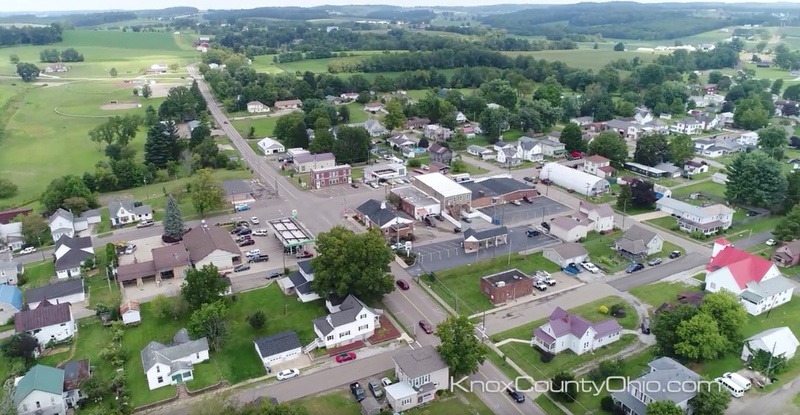 Located in Eastern Knox County, Ohio, we've captured a unique 360 degree panoramic view of downtown Danville, Ohio that showcases the small town atmosphere with its local businesses and surrounding neighborhoods in a different perspective not likely seen like this before. If you love the Village of Danville, Ohio, consider making it your new home! Click HERE to find homes for sale in Danville, Ohio and check out homes for sale in the Danville Ohio School District HERE. Spanning 370 feet across the Mohican River stands the Bridge of Dreams in Danville, Ohio, that allows for pedestrian crossing, bicyclists, and Amish buggies. Although motorized traffic is prohibited, many people come visit this beloved bridge every year to enjoy the magnificent views of the river from the 3rd longest covered bridge in the United States. In the 1920's the Bridge of Dreams was constructed as a railroad bridge, later in 1998, it was covered. The name was given due to the length and necessary funds to complete the project, therefore, showing that dreams really do come true! 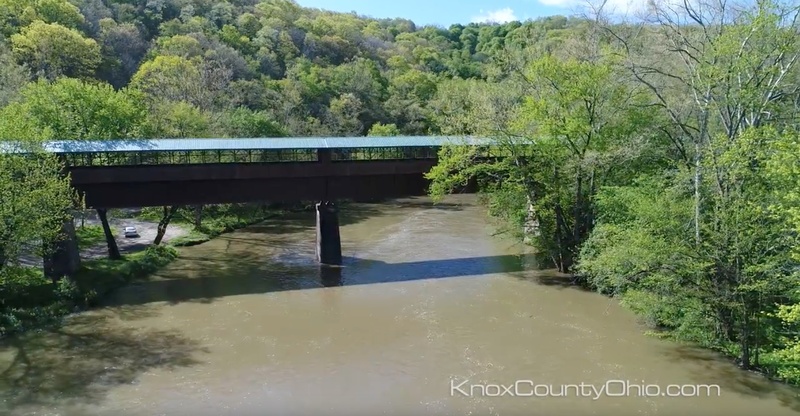 In the custom drone footage below, we've captured unique perspectives of the bridge and the Mohican River that residents have likely never seen before. If you enjoy visitng the Bridge of Dreams, check out Danville, Ohio's homes for sale HERE! This feature article is part of our ongoing series titled 365 Things To Do in Knox County Ohio by Sam Miller of REMAX Stars Realty in 740-397-7800. The Danville, Ohio schools mission is to provide each individual student with a quality education in a safe and motivating environment filled with school spirit and positive social connections. Students have many options to choose from when it comes to co-curricular activities such as football, golf, cheer, volleyball, basketball, wrestling, baseball, softball, track, concert band, marching band, pep band, jazz band, FFA, FCLA, and Drama. 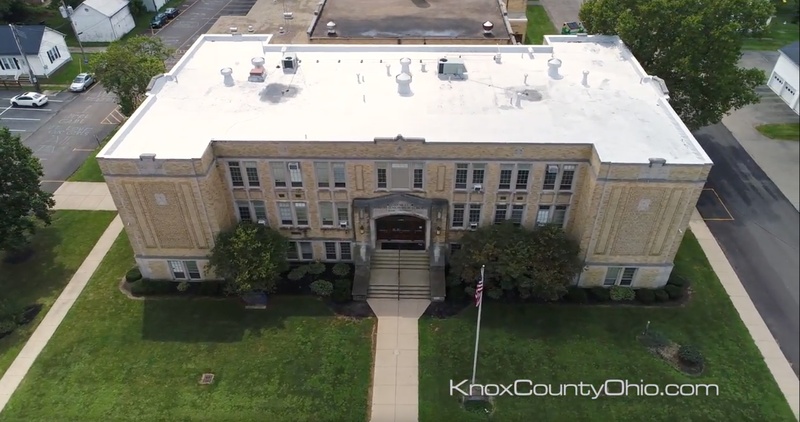 We've shared our custom drone footage with you below that showcases Danville, Ohio's High School, Elementary and Middle School, Stadium and Track, post office, St. Luke Catholic Church, and businesses. Danville is the start point/end point for the Mohican Valley Trail and The Kokosing Gap Trail in which the Mohican Valley Trail continues to the Bridge of Dreams in Brinkhaven, Ohio. If you enjoy the community of Danville, Ohio, consider making it your new home! Click HERE to find Danville, Ohio's homes for sale and find homes for sale in the Danville, Ohio school district, HERE. Whether a sports enthusiast or a simple outdoorsman, Memorial Park in Danville, Ohio will surely please. This park offers a playground, football stadium, 2 ball fields, and 2 basketball courts to practice your skills and challenge friends. Pick from the many picnic tables the park provides, spread out a blanket on the grass, pack some lunch, enjoy a picnic outside, and lay down to admire your favorite cloud formations. Memorial Park in Danville, Ohio honors Veterans with their memorials acknowledging those who served in WWII as well as the Korean and Vietnam wars. Embedded below is our custom drone footage highlighting Memorial Park and showcasing gorgeous views and unique perspectives that many area residents have likely never seen before. Memorial Park is located at 802 South Market Street in Danville, Ohio, 43014. If you enjoy Memorial Park in Danville, Ohio, check out Danville, Ohio homes for sale! This feature article is part of our ongoing series tiutled 365 Things To Do in Knox County Ohio by Sam Miller of REMAX Stars Realty in 740-397-7800. Located 15 miles Northeast of Mount Vernon, Ohio is the heartwarming village of Danville, Ohio. This adorable town is filled with lots of community spirit and just over 1,000 people. 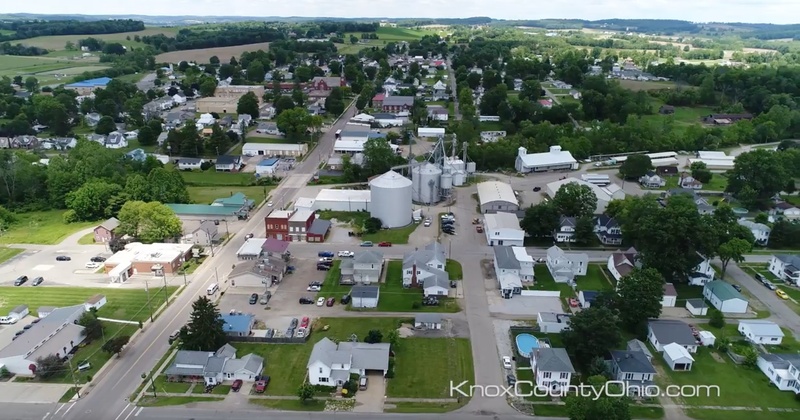 Danville, Ohio's downtown is captured in our drone footage below, showcasing a birds eye view of Danville, Ohio's real estate, many restaurants like The Hangout, McFadden's Hot Spot Pizza, and The Bender Pub and Grill, as well as The Blonde Robin Boutique and Cafe. Occuring every June, the Danville-Howard Turkey Festival is hosted at The Danville Community Park. Throughout the 3-day event, the festival offers many rides, contests, games, and several vendors are awaiting visitor arrivals to fill bellies with fresh fair food that results in smiling faces decorating the entire park. The footage below captures highlights from the festival and showcases the various items being sold. The Mohican Valley Trail is open to any non-motorized transportantion, welcoming horseback riding on a trail from Danville to Holmes County. The Kokosing Gap Trail also sits within Danville, Ohio and leads to Mount Vernon, Ohio. 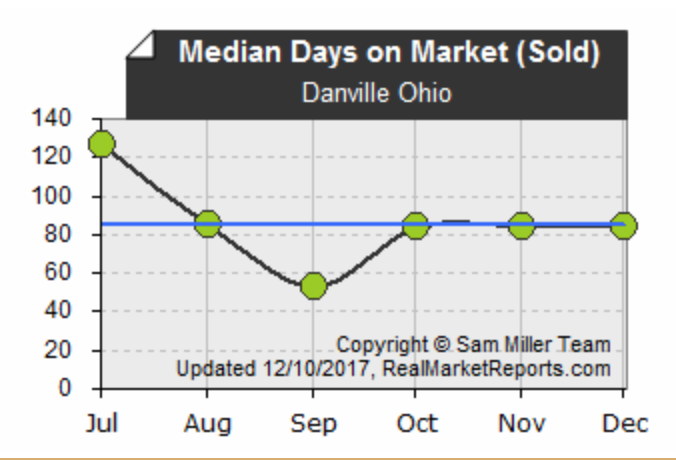 If you're considering moving to Danville, Ohio, make sure to check out Danville, Ohio's homes for sale and homes for sale in the Danville, Ohio school district. Nestled back off the road with 3 acres of land in a very private and secluded setting you will find a charming log home with a gorgeous country style covered porch. This property is really ideal for a weekend getaway or hunter's retreat because of the location, floor plan and bedroom configuration. The living space is roomy and features a nice open great room which combines a large living room with a wood burning stove, dining area, and an appliance and oak cabinetry filled kitchen. The cabin has approximately 1,100 square feet of living space but you will likely spend as much time outdoors and relaxing on the covered front porch enjoying the absolutely beautiful setting with wonderful country views. 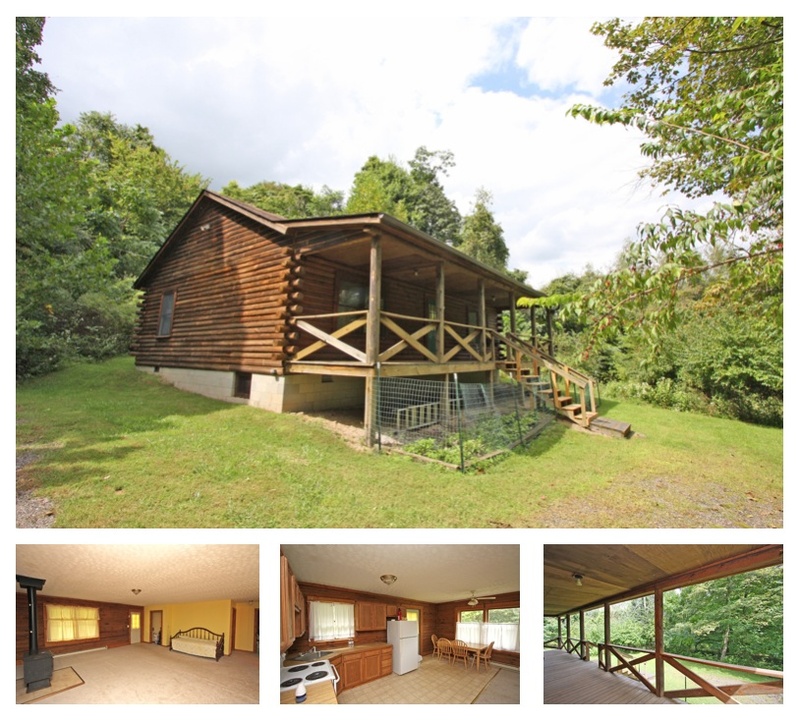 Log cabins in the woods on acreage like this are extremely rare especially at only $110,000 - Call us at 740-397-7800 before this one is gone! Click here for more information on this 29739 Chestnut Ridge Road home for sale in Danville, Ohio 43014.